CJJ offers numerous training and technical assistance opportunities at national and regional conferences, during webinars and live chats, and through technical assistance programs. Included below are resources and materials from webinars held in 2015. You can also watch CJJ webinars held in 2013 or 2014. Around the country, states and cities are finding new, less-punitive ways to respond to survivors of human trafficking. As a part of this movement, more than half of all states have enacted safe harbor laws to ensure that children are not prosecuted for actions they were forced to take by their traffickers. CJJ and the National League of Cities held a webinar on "Human Trafficking: Responses at the State and Local Level" on November 17. Participants learned more about Safe Harbor laws at the state level and the work cities are doing on-the-ground. Presenters discussed the important role communities can play through charging decisions made by police and other similar measures. Presenters shared information about ways communities such as Denver, Colorado are collaborating with anti-trafficking groups to provide support for survivors who have run away from home. Beth Holger-Ambrose, Executive Director, The Link in Minneapolis, Minn. Many juvenile justice systems don't know how many young people in their system identify as lesbian, gay, bisexual, or transgender (LGBT) and often lack appropriate policies that meet their unique needs. CJJ held a webinar on "LGBT Youth in Juvenile Justice: Creating Agency Policies for an Equitable System on the State and Local Level" on November 2. This webinar discussed the need for agency policies to support LGBT young people in the juvenile justice system. Participants learned how the Massachusetts Department of Youth Services and Santa Clara County Probation Department developed policies for LGBT youth in their system, as well as different strategies for creating similar policies in state- and county-based systems. Research indicates the unnecessary use of out-of-home placements is an ineffective and expensive approach to serving young people in the juvenile justice system. CJJ held a webinar on “Family Centered Treatment®: A Community-Based Alternative to Out-of-Home Placement” on October 27. 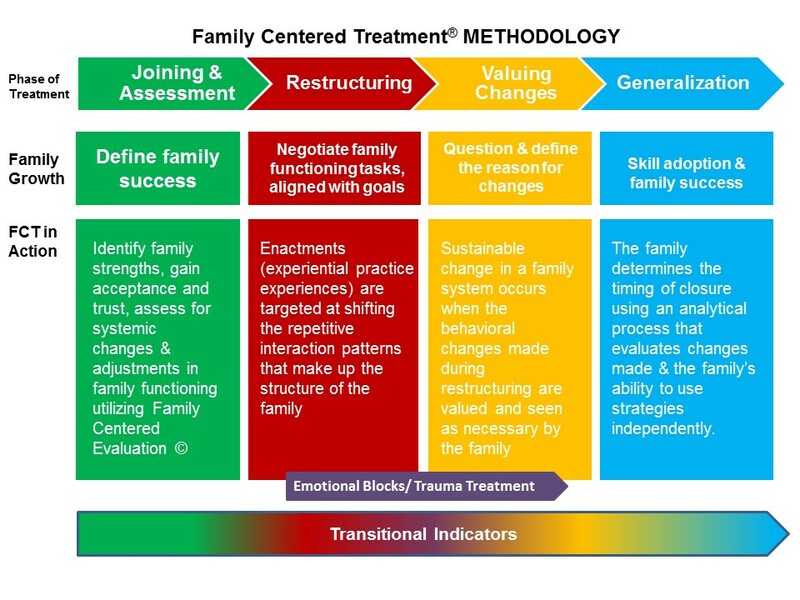 This webinar discussed the need for community-based alternatives and provide an overview of Family Centered Treatment®, including a newly-released independent evaluation. Participants learned how this intensive, family-focused intervention was implemented statewide in Maryland, as well as implementation challenges and opportunities. Boys, much like girls, are at risk of falling prey to human trafficking. It can be difficult, however, to identify them as survivors and to secure the specialized services they need to address their experiences. CJJ held a webinar on "Boys and Trafficking: Identifying and Serving Silent Survivors" on October 6. This webinar, which is part of a series of webinars on the topic of human trafficking, focused on the prevalence of boys among survivors of trafficking, and some of the unique challenges that exist for them. Presenters shared new data about the prevalence of human trafficking among boys and how one local jurisdiction is responding to the needs of male trafficking victims in their community. Click here to watch the recording. Click here to view the PowerPoint presentation. Recent events have highlighted the need to improve relations among police, youth, and communities and to better equip police officers with the knowledge and tools to work with youth. CJJ held a webinar on "Police, Youth, and Community Relations: Practical Strategies to Build Trust and Positive Outcomes" on September 21. Participants learned how youth, community-based organizations, adolescent development and mental health experts, and police have helped train officers on effective skills to interact with youth. Presenters discussed how outreach programs have facilitated constructive dialogues between police, youth, and communities. Recent events have highlighted the need to engage young people in efforts to strengthen relations between police, youth, and communities. The Center for Court Innovation’s Youth Justice Board studied police-youth relations and released a new report with recommendations to improve public safety and restore trust. CJJ held a webinar on “Police, Youth, and Community Relations: Improving Outcomes and Restoring Trust through Youth Voice” on August 26. Participants learned how police and youth can work together to improve policing, police-youth contact, and diversion programming. Participants learned about the Board’s policy goals, how it formed its recommendations, and how young people can be meaningfully engaged in improving relations with police in their communities. This webinar is the first in a series of CJJ webinars on police, youth, and community relations. Be sure to check out the PowerPoint presentation, the fact sheet on the Youth Justice Board, their report's Executive Summary, and the fact sheet on Police-Youth Dialogue Project. CJJ held a webinar that focused on learning how communities can identify survivors of human trafficking and ensure that they receive the services they need instead of being prosecuted or placed in the juvenile justice system. Participants heard about work Florida and Maryland undertook in conjunction with Shared Hope International to develop and implement screening tools to help ensure young people are properly identified. Click here for the webinar recording. Click here for the PowerPoint presentation. CJJ and its Ethnic and Cultural Diversity Committee hosted a webinar on Racial Impact Statements on June 1. Racial impact statements have been introduced into legislation to address differential impact on racial and ethnic groups. Several states have adopted legislation and some have policies in place to address disparate effects of new laws. Participants learned about the history of legislation and racial impact statements, as well as success stories in the states. Similar legislation could assist states in addressing the disproportionate minority contact core requirement of the Juvenile Justice and Delinquency Prevention Act (JJDPA). During this webinar, presenters gave an overview of racial impact statements, discussed recommendations for methods to assess racial impact, and discussed how these assessments can work in practice. Click here to watch the webinar recording. Click here for the PowerPoint presentation. Many juvenile justice systems don't know how many young people in their system identify as lesbian, gay, bisexual, transgender, or gender-nonconforming (LGBT/GNC), and often lack appropriate services and placements that meet the unique needs of LGBT/GNC youth. Juvenile justice systems can take several steps to ensure that these youth are treated fairly and with respect. On April 29, CJJ held a webinar on "LGBT & Gender-Nonconforming Youth in Juvenile Justice: Building an Equitable System with Data, Training, and Policy." This webinar provided an overview of issues that LGBT/GNC youth experience in the juvenile justice system, including the newly-released data from the National Council on Crime & Delinquency. Participants learned how data collection practices, staff training, and anti-discrimination policies can help build an equitable juvenile justice system for LGBT/GNC youth. Click here to watch the webinar recording. Click here to access the PowerPoint. CJJ held a webinar to help members and allies prepare for our annual Hill Day. During this webinar, participants heard from Bolder Advocacy, an initiative of the Alliance for Justice, about the differences between advocacy and lobbying. Participants also got the chance to learn key pointers for how they can get the most out of their Hill visits from Virginia Zigras, a member of Congressman Tony Cardenas' (D-CA) staff. Hill Day is open to all CJJ members, regardless of whether you have previous experience working with your member of Congress. If you have questions about how you can get involved in Hill Day, please contact CJJ Senior Policy Associate, Naomi Smoot at (202) 467-0864 ext. 109. Juvenile justice systems have achieved substantial reforms, but many still struggle to reduce recidivism and improve outcomes for youth. Many systems devote significant resources to confining youth, often at the expense of more effective community-based approaches, which would keep youth closer to home. CJJ hosted a webinar on "The Real Costs of Confinement and 'What Works' to Improve Youth Outcomes" on March 30. Presenters shared new findings on the actual costs of confinement, including collateral costs to society, such as missed opportunities to reduce recidivism and promote education. This webinar highlighted the core principles demonstrated by research to improve outcomes for youth in the juvenile justice system. Presenters also offered concrete recommendations and lessons learned from the field for translating this research into policy and practice. State laws and policies may create significant obstacles for juvenile justice-involved youth in obtaining employment, housing, education, and other opportunities. These obstacles impede successful transitions to adulthood. Does your state do a good job of protecting the confidentiality of youth in the juvenile justice system? Does it make the process of sealing and expungement accessible to youth? CJJ and the National Juvenile Justice Network (NJJN) held a webinar on "Protecting the Confidentiality of Juvenile Justice-Involved Youth: Access to Records, Expungement, and Sealing" on March 4. This webinar provided a national overview of laws on juvenile record confidentiality, sealing, and expungement, as well as core reform principles featured in the Juvenile Law Center's recent report "Failed Policies, Forfeited Futures: A Nationwide Scorecard on Juvenile Records". Participants learned about current reform efforts in Delaware and strategies to reform existing laws and policies in their jurisdiction. The juvenile justice field has come a long way since the JJDPA was first enacted, and even since 2002 when it was last reauthorized. CJJ and the National Juvenile Justice Network held a webinar that served as an overview of how this legislation has helped drive reform at the state and local levels. Speakers also discussed how we can help ensure that federal policy reflects the new knowledge, advancements, and promising practices from the field, and how a reauthorized JJDPA might change the future landscape of juvenile justice practice. Click here to view the PowerPoint presentation from the webinar. Click here to watch the recording. Over the past decade, research has given us a new understanding of adolescent brain development. In 2013 and 2014, the National Academy of Sciences (NAS) released groundbreaking reports examining the implications of this research, proposing a developmental approach in juvenile justice, and outlining the role of the federal government in implementing reforms. CJJ held a webinar on â€œImplementing an Adolescent Developmental Approach in Juvenile Justiceâ€ on January 21, 2015. This webinar described the key findings from the original NAS report and explore strategies and policies to effectively reform the juvenile justice system. Participants learned about the adolescent development research shaping new reforms and the recommended action steps for federal and state government, as well as State Advisory Groups (SAGs). Arlene F. Lee, Board Director of the Committee on Law and Justice at the National Academy of Sciences, served as presenter. You can watch the recording of the webinar here. You can access the PowerPoint from the webinar here. You can also find references to the role of the SAGs in this report here and here.